With its sunny weather, world-famous food, film and music festivals throughout the year, and a well-earned reputation as the "Live Music Capital" of the world, it's easy to see why Austin, Texas, is one of the fastest growing cities in the U.S. –- and one of the most visited as well. Austinites like to "keep it weird" by expressing their artistic individuality and living life at their own pace, making for a friendly, inviting atmosphere in the city that welcomes all comers and encourages having a good time. While there's always more music, food, and culture to take in on any given night than a single person could manage, locals maintain a laid-back charm and relaxed outlook. Any and all first-time visitors are encouraged to visit the Congress Avenue Bridge at sunset to watch as the Congress Avenue bats take flight from under the bridge into the Texas night sky. Afterwards, a stroll down Sixth Street will invariably be accompanied by the melange of music—from country and hard rock to rap and reggae—drifting out from the many famous clubs and bars lining the downtown avenue. But a typically sunny day is best spent in Zilker Park and the Barton Springs Pool, cooling off in the spring-fed waters alongside the locals. Families traveling with children will find refuge from the night-long hustle and bustle of downtown or the University of Texas nightlife just south of Ladybird Lake in the South Congress district. South Congress itself offers up family-friendly shops and dining—Amy's Ice Cream makes any day brighter—as well as many music venues like the Continental Club while respecting the nearby residential neighborhoods. However, travelers looking for a full immersion into Austin's night-life can find accommodations directly on Sixth Street itself, meaning a safe and short walk home from late night shows at the White Horse or Hotel Vegas. Austin has a thriving presence on home-stay and residential rental sites like Air BnB or Couchsurfing, where travelers can often find better deals and a more authentic Austin experience. Austin is at its best from the middle of March to early June and the end of August through November, when the city is warm enough to take advantage of the many outdoor activities offered and many of the music and film festivals take place. 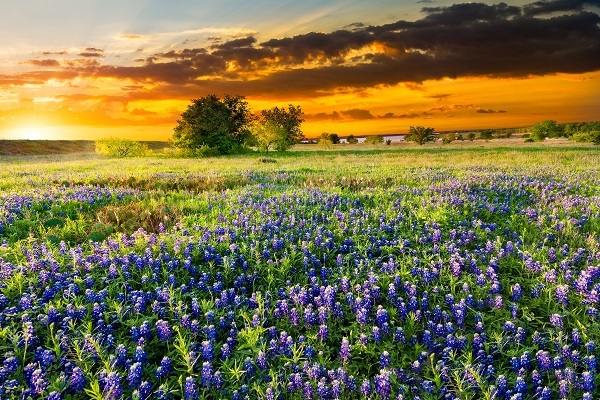 While most of June and July are flush with city-wide activities as well, the heat of summer in Texas is often more intense than most travelers can comfortable tolerate. However, the worst time to visit is in January and February, when the city freezes over both literally and metaphorically as the city takes time to recharge and rest, planning fewer events in general. While not considered a destination per se, the Hyde Park district just north of the University of Texas hides several cafes, bars, parks, and hip neighborhoods with laid-back charm. After enjoying the artwork at Hyde Park Bar and Grill or relaxed in Shipe Park or the Shipe Wading Pool, it's only a short stroll up to North Loop Drive for coffee at Epoch or a cocktail at Drink Well. Austin is flush with free and fun outdoor activities, from the bats on Congress Avenue Bridge to the Lady Bird Lake Hike and Bike Trail, but perhaps the best deal for a warm spring or summer night is Barton Spring Pool: at 9 p.m. every night, the pool opens for an hour of free swimming to the public. Additionally, there are often several free music showcases or poetry readings going on any given week, which can easily be found in the events listings of local papers such as the Austin Chronicle, which is free itself as well. For travelers wishing to get around the city at their own ease, it will be necessary to rent a car as Austin is a very car-centric city. However, those sticking around one or two neighborhoods can easily find their way by bicycle or hailing a pedicab—a great way to get even more insider tips on what to see in town is by striking up a conversation with your friendly, local pedicab driver. Austin-Bergstrom International Airport lies just southeast of the city within a ten to fifteen minute drive, making it easily accessible and not too far from downtown. A number of shuttle buses and taxi services are regularly available right at the curbside, as well as several rental companies with offices within the airport itself. Whenever possible, avoid Interstate 35, as it is notorious for erratic traffic jams and the like. Traffic tends to bottleneck at each of the lake crossings but particularly on I-35—if it is not too far out of the way, either Pleasant Valley to the east or South First street to the west are typically better options.